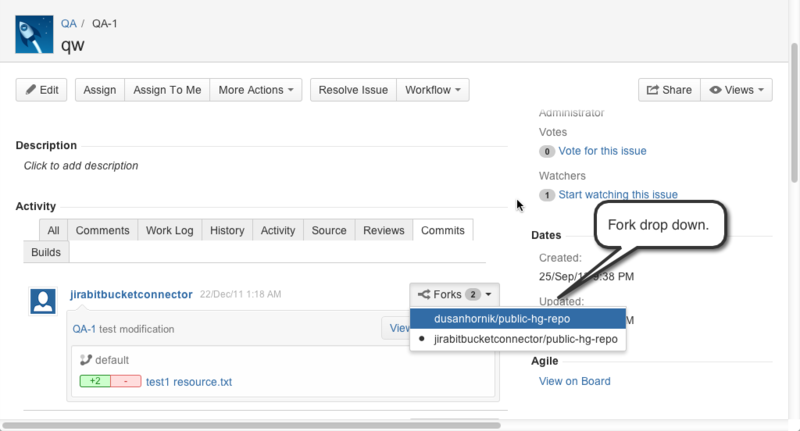 When you manage your project's repositories in Bitbucket or GitHub, or use FishEye to browse and search your repositories, you can process your JIRA Software issues using special commands in your commit messages. transition issues to any status (for example 'Resolved') defined in the JIRA Software project's workflow. The JIRA DVCS Connector Plugin is bundled with JIRA Software , but if necessary, a JIRA administrator can install it directly from within the JIRA administration area. See Installing Marketplace apps for more information. Log in to JIRA Software as a user with administrative permissions.